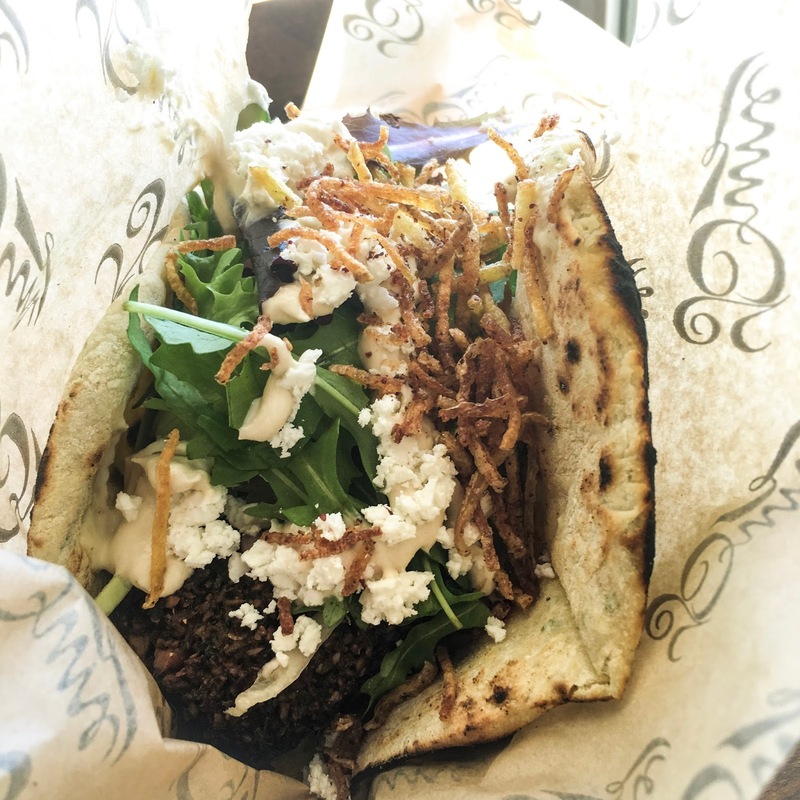 THE UNEMPLOYED EATER: You Should Be Eating This Right Now: Dune's Falafel. You Should Be Eating This Right Now: Dune's Falafel. What: Organic Green Herb Falafel Sandwich. Where: Dune (3143 Glendale Blvd, Atwater). Why: The difference between a good falafel sandwich and bad is VAST. Maybe think "The Dark Knight" versus "Batman v Superman." Of course, like a good superhero movie, a specific falafel sandwich's transcendency involves much more than its namesake. There's the pita, the accruements, the sauce, et al. I've long spoke of Grand Central Market's Madcapra serving LA's finest (hence it being included on my Top 16 of '16) and it still very well might be. However, it better watch its back for Dune. Not just because the charmingly compact Atwater Village healthy Mediterranean post serves one heck of a falafel sandwich, but because they are opening a second location in MadCapra's 'hood of DTLA. Like Madcapra's sandwich, Dune goes very fresh and very organic, starting with the balls which burst with the sort of flavor you simply don't get at your county fair falafel stand. They bake their own flat bread, which tastes both healthy and indulgent, and top it with house hummus, pickles, marinated cabbage and onions and a tangy tahini. Lastly, the surprise guest behind door Number 3!, an added crunch comes via thin shoestring potatoes (I also added feta). It's worth the drive to Atwater. And soon the train to downtown. Will definitely try on next visit.